“Do you work for the county ‘ID-ing’ bodies?” Such a response is accompanied by a furrowed brow from a perplexed individual when I respond to the question: “What do you do for a living?” I’ve learned to leave the term “ID” out of the equation and give a simple answer. Those of us in the learning industry know exactly what an ID is. 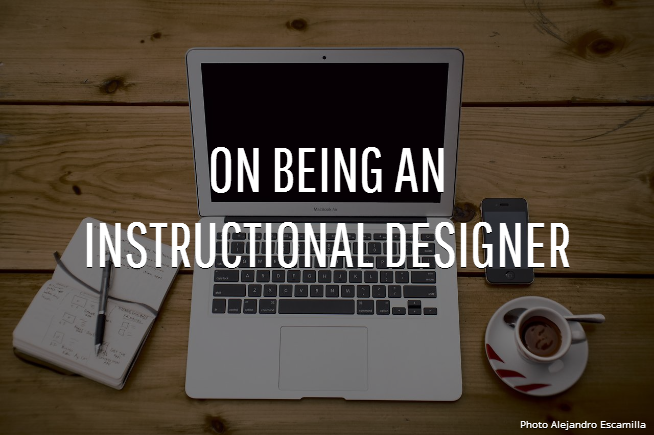 An instructional designer is a content hunter/gatherer, an interviewer, a diplomat, a writer, a conceptual artist, and so much more. But what does it take to be a successful ID in today’s climate? I can offer a few thoughts from the positive experiences I have had while in the trenches. If you are interviewing potential new team-members or vendor-partners, these are essentials to have on your checklist. And if you are on the other side being interviewed, take note: These are the fundamentals managers like me are looking for to build a growing and successful team. Keep skills fresh. Yes, there are always new workshops and certifications you can obtain. But these likely will cost you some money. Don’t get me wrong, I do not discount their value, but there are loads of webinars, templates, videos, QRGs, etc. on the Internet that are FREE FREE FREE! Take advantage of these opportunities. I will offer up my preferred resources in part two of this blog. Show appreciation. Send a thank-you email, eCard, or even an old school hand-written card to an interviewer or others who took that extra step to help you. Reciprocate kindness with kindness and you will be remembered. Have a “can do” attitude. I know this is cliché, but it’s a measure of success. Focus on how you solve problems, pose creative alternatives, function well as part of a team, and go the extra mile. We have all had bosses and coworkers in the past that just didn’t “click” with us. Leave them in the past. Shut the door and throw away the key. Don’t invite them into your new gig or have them join you, in spirit, on an interview. Be on time. All interviewers and managers know the interview and the initial projects kick-offs are part of the honeymoon phase. If you are late for these initial appointments, you are showing you will be habitually late for most of your internal and client meetings and calls. Show up early and bring work, a book, or an iPad with you for entertainment while you wait. Sure, these ideas (and several more I could list) may seem like common sense. But it’s always nice to have a refresher for a self-check and do the necessary course correction, whether you are interviewer or interviewee. Now read on for Part Two, which focuses on some of my favorite online resources to keep your mind and your ID skills sharp.